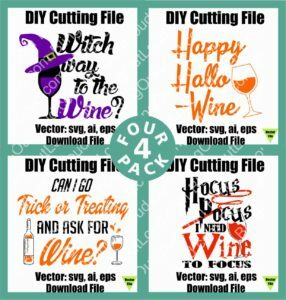 This 4 pack of SVG – Wine themed Halloween designs will help bring some extra fun to the holiday this season. DIY vector files are instant download and ready to cut on your home cutter like a Silhouette, Cricut, or Graphtec. These can be resized for any project. With this 4 pack, you can mix and match elements and create your own original design. We recommend Magic Touch Glitter for accents. We carry the full line of Magic Touch Glitter and Flat HTV. After accidents, cancer is the second leading cause of death in children ages 1 to 14. Only 4% of Federal cancer research money goes to study pediatric cancer. Here in Katy, we are not untouched by childhood cancer. 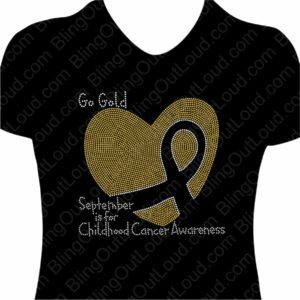 We dedicate our “Go Gold in September” tees to Lilli Curry and others fighting ewings sarcoma. 50% of the proceeds from the sale of any of our “going gold” themed tees goes to the Rutledge Foundation and the Lilly Curry Memorial Fund. Available all during September, this year’s latest design is just one of several options. 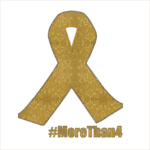 Wear your print, glitter, or spangle bling shirt and help raise awareness to Go Gold in September and further promising research. 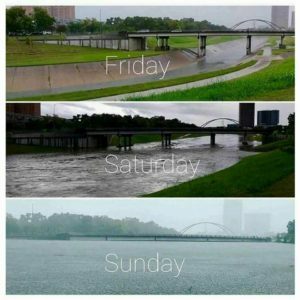 As the one year anniversary of Harvey rolls in, I reflect on what the last year has meant. It has been a time of supporting friends ( and strangers), being grateful (with a touch of “survivor’s guilt”) for what I have and did not lose, and trying to remain aware that so many are still struggling. 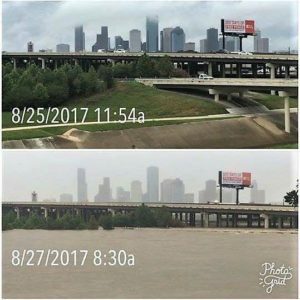 The Houston Food Bank is in need. They have done so much for so many, but they need our help. 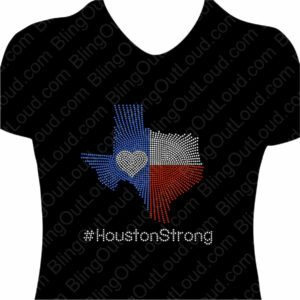 Last year we sold a fundraiser #HoustonStrong spangle tee. For a limited time, this shirt is available. $10 from each shirt purchase goes to the Houston Food Bank. Contact us via email or phone. 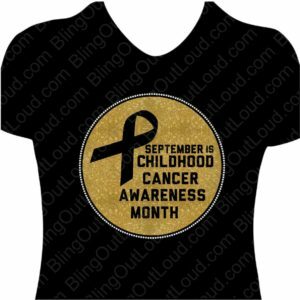 Copyright Bling Out Loud, Inc. 2011-2019 Bling Out Loud ™ and the Bling Out Loud logo are registered trademarks of Bling Out Loud, Inc.